The following books are available for purchase through the club. If you have any suggestions for other titles please contact the library by Email or 825 2680. *Prices are not guaranteed. While they usually stay at stated price, they are subject to rare changes. A more comprehensive list is available at the library. First female head of the White House Medical Unit, Navy Doctor Commander Connie Mariano served 9 years and three presidents. The medical unit serves the president, the vice president and their families in addition to all military and civilian personnel at the White House. Read interesting stories about her days at the White House and the overseas trips she took with the presidents. Check out our new book section under Call No. 610.92 MARIA. 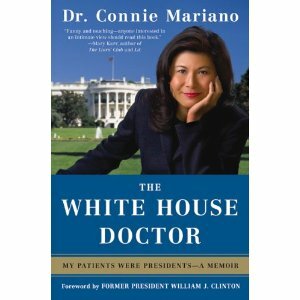 White House doctor : behind the scenes with the Clinton and Bush families / Connie Mariano. New York : Thomas Dunne Books/St. Martin's Press, 2010. 2010.